#160-2 Double connecting link. 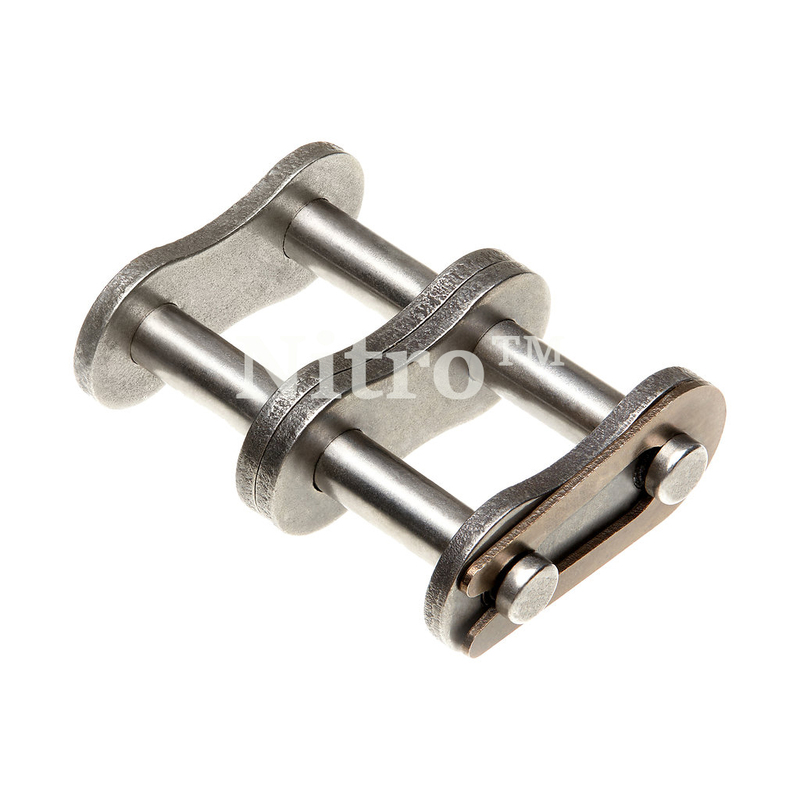 Roller chain connecting links also known as master links are used to connect two ends of the roller chain together. Q: Do you have measurements on any of your master links so that I know which one I need? Please direct me to the page that lets me know where to find deminsions on your master links. I'm looking for one that is about 1.14" (29.12mm) wide. 1/2" (12.70mm) from center hole to hole, and thank you for any time and trouble you spend with this matter. A: We don't carry dimensions for the links since the dimensions are the same as the chain. 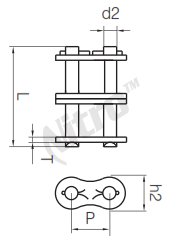 Below is a link to the 160-2 roller chain with the dimensions. The dimensions you need to measure are references L, P, h2, d2 and T in the diagram that's located in the link provided above. The L will be slightly longer on a connecting link to allow room for a spring clip / cotter pin.